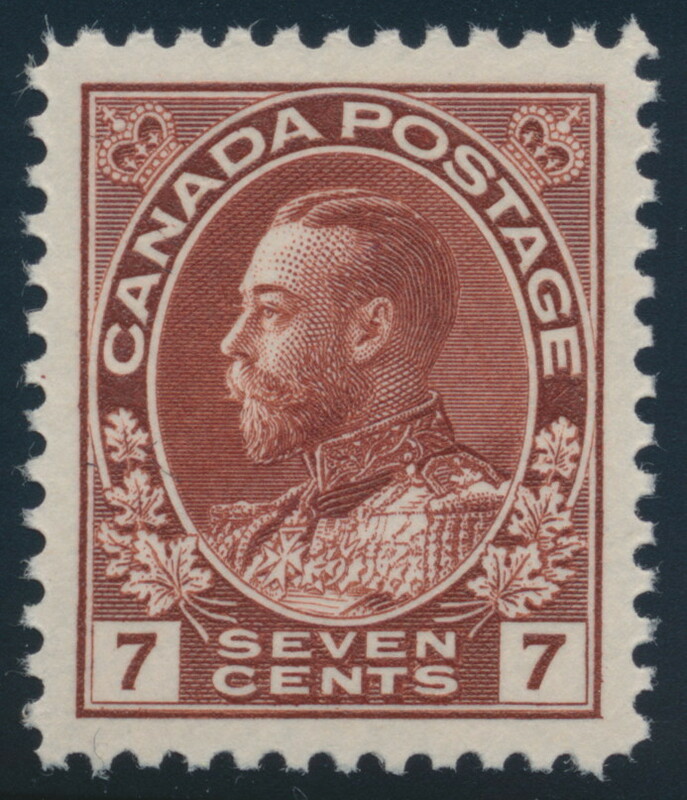 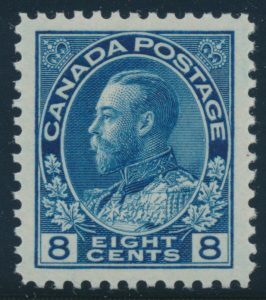 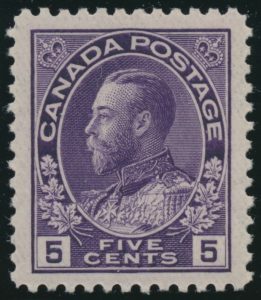 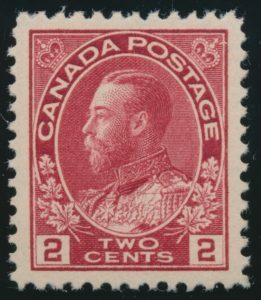 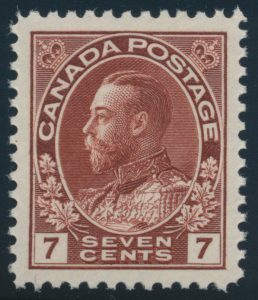 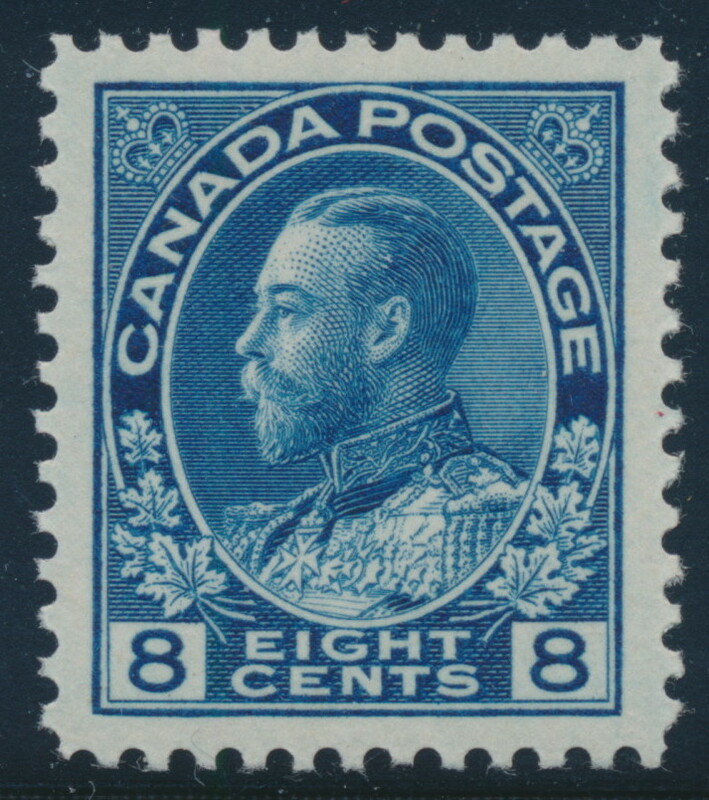 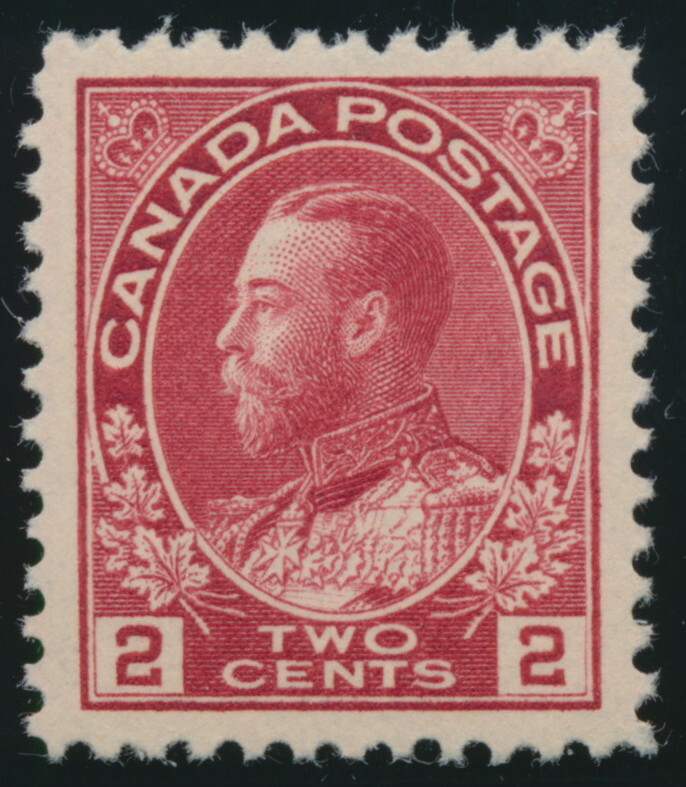 Lot 283 Canada #114b 1924 7c red brown Admiral, Wet Printing, mint never hinged, quite fresh and well centered, extremely fine. 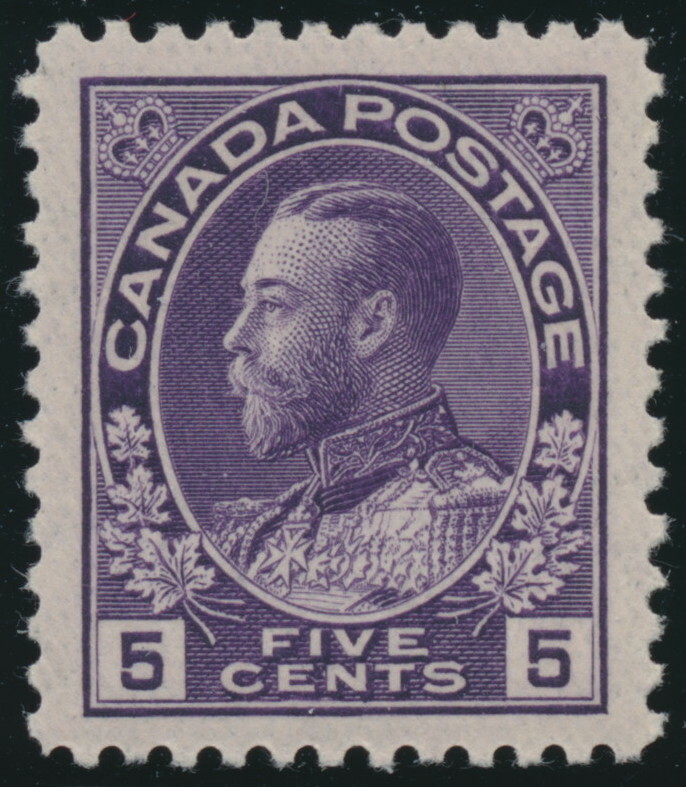 A lovely stamp. 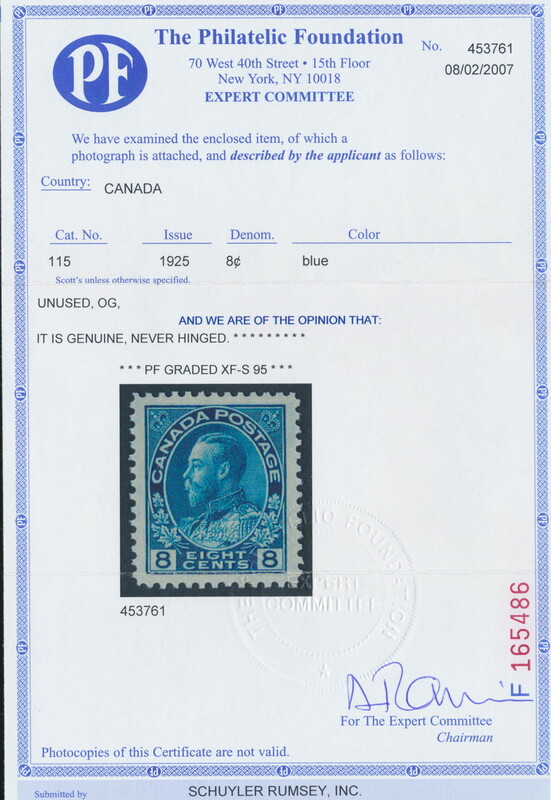 Unitrade CV$135, sold for C$160.00 plus 50% buyer’s premium.